Cavalcade of Cynicism: Jumping Jubei Flash. 1860s Samurai as a 1980s radio DJ. Jumping Jubei Flash. 1860s Samurai as a 1980s radio DJ. Many greetings to you and your Clan! It is I, Jumping Jubei Flash! And you are listening to the most beautiful and victorious of the modern pop playing stations! Other stations dishonorable and unedifying! They weak, bend the knee and cower instead of playing nothing but the greatest selection of pop classics and modern hits! Humorous painting of listeners reactions! No prolonged foolishness, let us begin with ode to a lying whore, Billie Jean by Michael Jackson! This Billie Jean, accuses honorouble Jackson-San (Chamone) of being the father of her weak, maggot son! Disgraceful She-Fox will burn for eternity in the cage of lies she has built for herself! Jackson-San clearly allowed a mistress as is rite for Samurai (his Brothers had many), but Billie Jean-Kun was not approved by higher ranked officials, therefore Jackson-San would never violate Samurai oath! Pleasant track, bassline rolls like waves on the sand. Funk is very high, like literacy rate in Kanji! 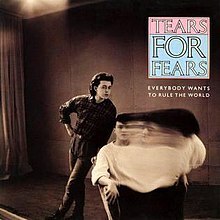 Listener Susan Dewitt from Kentucky says 'Jubei, can you please play some Tears for Fears? I certainly can, here is Everybody Wants to Rule The World! This song has a pleasant jingle, like temple bells in the cool breeze. It is catchy and melody is high spirited, I shall encourage to the young recruits to chant this during drinking sessions. 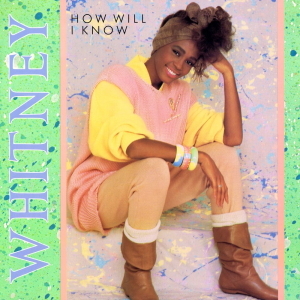 No talk, moving straight into How Will I know by Whitney Houston! Dig it honourable listeners! This song reached number one, you are a wise and strong music buying public. Lack of question mark in title irks my intelligent sensibility, but track is strong and energetic. I will tell you Whitney, you will know if he loves you when he brings you finest robes as part of a battle truce. He loves you when he asks you to cook for him, as he wishes to experience your culinary expertise which you must surely have, if not why are we even having this conversation? He loves you when he is given you as wife to negotiate trade and travel routes with Shinto province. The other day I was talking to town fool Tsurumaru. He say, "Jubei, I may be town fool. But even I know your station plays nothing but the best music mix!" We laugh. Tsurumaru is correct. I then cut off his thumb for addressing a higher rank without prior permission. More tracks later! Now, local emporiums wish to deliver their latest wares for your custom!